Sit comfortably. Gently close your eyes. Feel the energy entering into your toes from Mother Earth. See its relaxing effect. Let this energy move upward to your feet and ankles. Feel how it rejuvenates and relaxes this part of the body. Let this energy move upward to your lower legs. Feel the relaxing effect of this energy moving upward to your calf muscles … your knees … your upper legs … and the entire area touching the chair, including the back. Feel this energy relaxing the entire back. Let this energy move forward relaxing the abdominal muscles … the chest area … your shoulders. Here especially feel the melting effect, the de-tensioning effect, in your shoulders. Feel that they are melting away. Let this energy move to your arms, feeling its effect though your biceps … and elbows … your wrist area, your palms, fingers and fingertips. Let this energy move and rejuvenate the entire length of your arms. Let this energy ooze out through your fingertips. Pay attention to the neck muscles. Feel the energy relaxing all the neck muscles. Let this energy move upward, relaxing all the facial muscles … forehead … your eyes … lips … earlobes … the top of your head. Feel this energy now flowing in a very gentle way from the feet, rising slowly upward through the steps we just followed, to the crown of your head. If you feel like revisiting a stressed area of your body, you can pay extra attention there now until that part of the body is also fully relaxed. Then scan the whole system now from toe to top. Gently close your eyes and relax. Turn your attention inwards and take a moment to observe yourself. Make a gentle suggestion that the source of light already present in your heart is illuminating it from within and drawing you in. Do this in a gentle and natural way. There is no need to concentrate. If you find your awareness drifting to other thoughts, gently come back to the idea of the light in your heart. Feel immersed in the light in your heart, and let yourself become absorbed. Remaining still and quiet, rest there for as long as you want, until you feel ready to come out. Now focus on your back, from the top of the head to the tailbone. Think that all the complexities and impurities from the day are going away. It is a suggestion that it is happening. From where? Out your back, from the top of the head to the tailbone. Imagine it. How? Think that they are going in the form of smoke. When you have settled with this, then accelerate the process. Then gently add the next element to the cleaning process. Imagine that the light is descending from above and is entering from the front side of your system. It is passing through your entire body, going out from the back and helping you to remove those complexities and impurities. This light is filling up the vacuum left by the removal of complexities and impurities. At the end, make a firm suggestion: all the complexities and impurities are now removed,and I feel a lot simpler and purer. Close your eyes and relax, with your attention drawn very gently towards the heart. If thoughts do arise, gently remind yourself that we are in meditation, meditating on the source of light. Rest your attention in the heart, feel the longing that is there in the heart to be one, and the highest you can be. Call upon this deepest Self for guidance. Try to go deeper within. 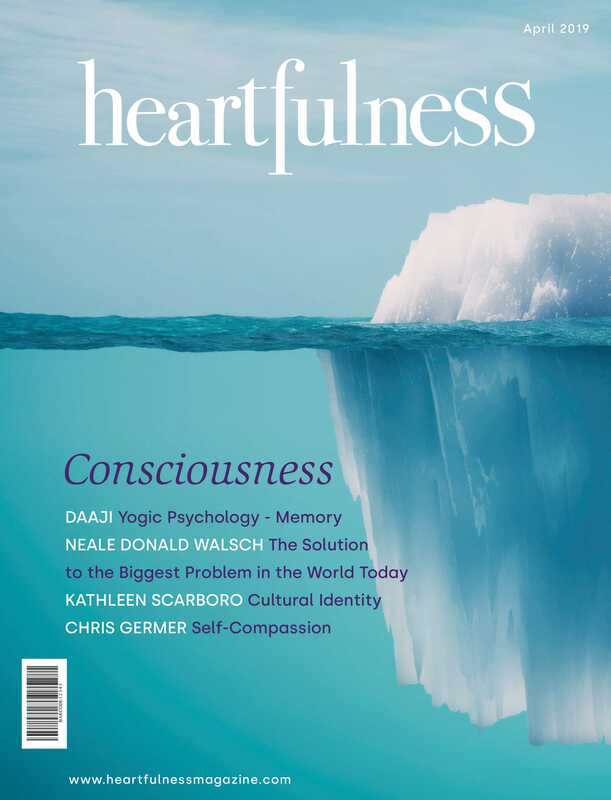 Find a local Heartfulness group at heartspots.heartfulness.org. Or stay in touch using our HeartsApp. We wish you a happy journey.